So it’s now 2019 and I’ve been in Samara for over a quarter of a year. It truly is winter now, the snow is over a foot deep everywhere and you can hear the sound of scraping shovels at all hours of the day and night. Where the snow has been dumped away from paths and roads, the piles can be 8 foot high. Last week it got down to -26 at one point but on Saturday it was up to +1 and the roads were slushy – how weird! My flat is nice and cosy so it’s difficult to realise just how cold it is outside until you leave the building. 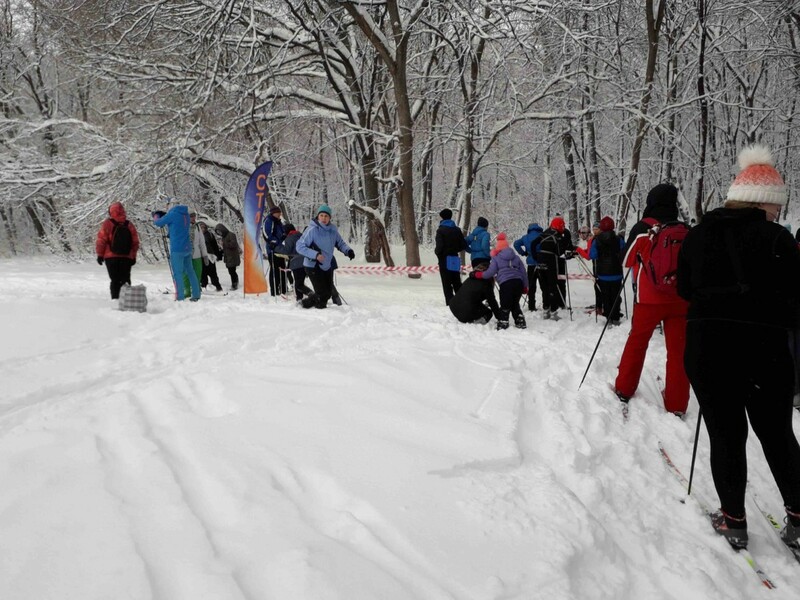 The foot orienteering season has finished until April, but the ski O season is underway and people do compete in this running as well as on skis. 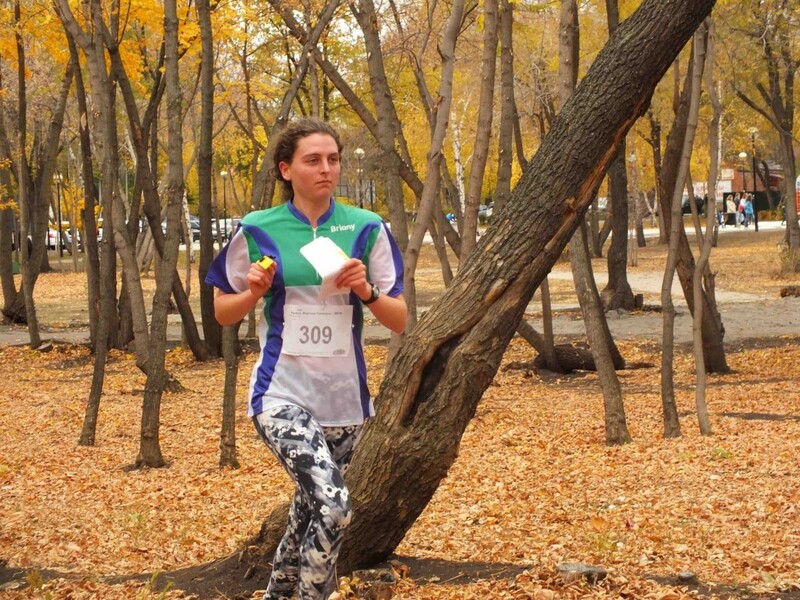 The park orienteering series was actually fun despite me thinking I didn’t enjoy sprints. I’ve also been to a night orienteering event, a ski-O event, a couple of trail running events and a ‘rogaine’ basically a long score in pairs. The Park series consisted of 5 events on consecutive Sundays from October into November, each in a different park in the city. It seems a long time ago now. Mostly these were really easy and you could see the next control before you’d gone more than ten steps, none of the parks are particularly big. There was one park, the third one, which was a bit trickier as it had much more undergrowth and also it was snowing heavily which made my map incredibly soggy and fragile. I have been back to this park today for my first ski orienteering venture and again, it was snowing. The final of the series was held in Gagarin Park, the city’s favourite space. There are many funfair attractions but I think they are only open in the summer. It also has a big ferris wheel being constructed but this is controversial with local government because it’s too high or something like that. Apparently, it was going to be the highest one in Europe but I took that with a pinch of salt. Samara also claims to have the biggest square in the world and the longest river beach in Europe so they like to think of themselves as at the top. The final was a bit different from the previous four events. Results from the first four were collated and the top 20 M and W were put in mass starts to battle it out over 5km and many butterfly loops. Over the first four events I was 4th, 1st, 2nd and 4th in W21 which put me in 1st over these four. There’s one lady, Kristina, who is good and who I knew was my main competition. I didn’t really know how I was getting on as everyone went different ways after number 1 until we had a leg together, number 10, and she came from behind and got ahead. It was one of the first cold days, about -10, but warm in the sun. My fingers were frozen for the first half of the course and I was half wondering if I was going to get frostbite but thankfully once the blood was really flowing, they got much warmer. Kristina and I were more or less together for that leg but then took different route choices to get back to the central control of the butterfly loops and I got ahead of her again. It took her until number 15 to catch up although she was not far behind me. Up until 18 I managed to keep a little in front making myself keep pushing. 19 was a longer leg before the last control which was very close to the finish and she managed to just get ahead. I was running as fast as I could but it wasn’t enough. Pavel, my helpful contact, was easily winning the men’s who had started 5 minutes later so he ran along with us, cheering and taking photos. Kristina won but only by 3 seconds. I still got a massive cup and a gym membership for 2nd place. I hadn’t run that hard in a long time, it was pretty exciting. 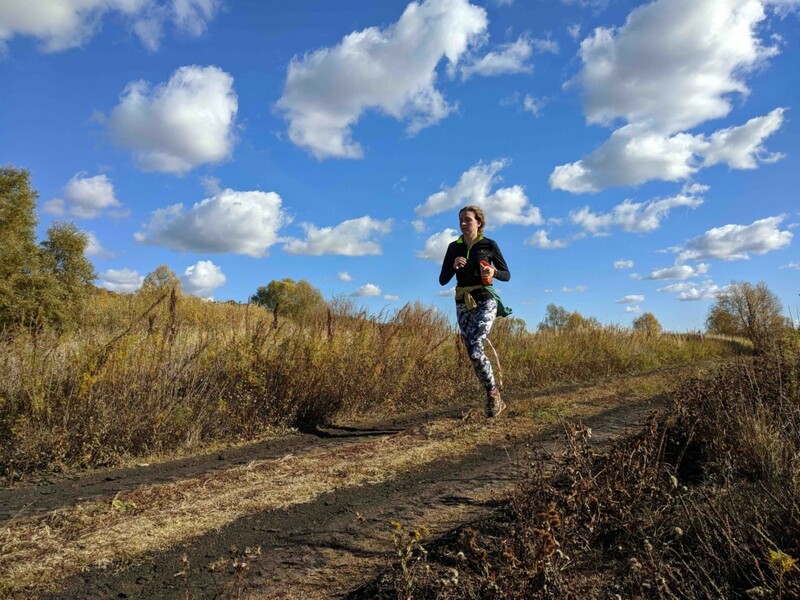 In the middle of October I went to a trail running event, my first ever running event. There were a few different categories so I did the 7km one. I thought it was just a bit of fun to see how well you were doing but it was a big deal with some big sponsors including Skoda and Ford. There was also a category for running with a dog and a mountain biking category. 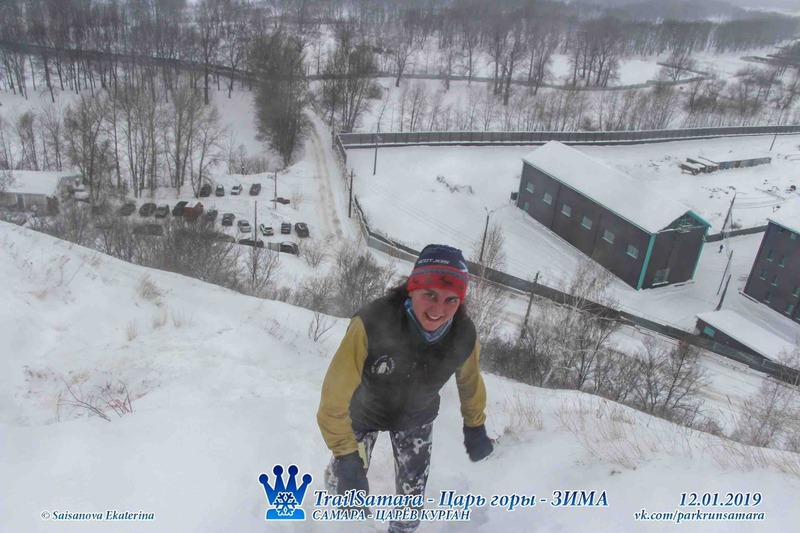 It was held at one of the local ski centres where there’s one lift which goes down the slope to the river Sok, a tributary of the Volga. It was a marked course mostly on tracks with a little bit going through grasslands and some steep ascents and descents of the slope near the end. I decided that I wanted to run the whole course and see how I got on so I made myself run up the slopes. It turned out that it was a race and I was 2nd woman, after the same Kristina. The rogaine event was in late November. It was in another forest beside a town where lots of the rockets, or rocket parts, were made during the space race. This event was running alongside a 10km, half marathon, marathon and 10km with dogs. There were lots of sponsors for these but not for the rogaine event. I had a partner, Sergei, who’s quite an avid runner. He’s done the Mt Elbrus race three times and his young daughter had taken the day off school (they have school on Saturdays) to do the dog 10km so they’re a running family. Luckily there was an indoors base, although it wasn’t as cold as the previous days had been, it was still pretty chilly, just above 0. We had 3 hours to get as many controls as possible with some getting us more points than others. Sergei said I should be the map reader as he’s new to orienteering so I took it and we made a rough plan in the 3 minutes before the start. Everyone had to go to the same first control and then after that there was free choice. The controls consisted of an A4 piece of paper with a number and an O kite printed on it and stuck to a tree trunk or something like that. It wasn’t always easy to spot them especially when they were taped onto a silver birch, white on white. At the controls we had to take a selfie with both members of the team to prove we didn’t split up at all. We set off at a pace which I thought was quite fast considering we were going to be out there for three hours. I managed to keep it up reasonably well for the first two hours in which we’d completed our original plan and extended it to include the controls on the steep slope dropping to the Volga flood plain. This was quite ambitious and I was starting to lag so Sergei gave me his last energy gel and some blueberry juice stuff. I’ve never had an energy gel before but it actually tasted reasonably nice and it did work. These last controls involved a lot of up and down the slopes and it took it out of me again. Coming up from the last control we had 7 minutes until the 3 hours were up and about 1km uphill including one very steep climb (hands necessary at points on the sandy un-solid ground) to get back to the finish. I couldn’t run up the slope but once we were at the top I did. Along a track, over the railway line and only 2 minutes left, up some more tracks and Sergei was egging me on but I felt I couldn’t run any faster. We got to the finish nearly 4 minutes late but we certainly weren’t the last ones in. Sergei’s Garmin said that we’d run 24.3km. The competition was split into two categories M+M and M+W, W+W. We won the M+W, W+W category despite having points deducted. Overall we were 5th. Now, to this year. This weekend there have been two events, a trail running one on Saturday and a ski orienteering one on Sunday. The trail running one consisted of a 2.5km loop and up to 4 laps of it for women. If you were a certain time behind the leader at the end of each loop, you would be pulled out of the race. The course was basically uphill, along a snowy ridge, about knee deep and difficult to run, then back down through some forest. The paths which people walk along had all been compacted and were nice to run along but where we were off paths, even though there were maybe 25 of us squashing the snow down on multiple laps, it was much more difficult to run and I was wobbling all over the place. I enjoyed it a little bit but it was hard work. I did the 10km in about 63 minutes which is decent for in the snow. Afterwards there was a samovar with hot spiced tea, biscuits and a stove with a pot of traditional fish soup which we could help ourselves to. However, Russians have a tendency to leave all the bones in the fish and it was incredibly salty soup so I gave up trying to eat it. For being third female I won some rice cakes, juice, cereal bars and a nice wooden fridge magnet. Sunday was my first ski-O. There were loads of kids there and they all have their harnesses with map boards attached to be able to read the map and hold the poles at the same time. I made a different system for myself: SI card on string attached to the zip of my breast pocket, compass likewise but kept inside my pocket (it was just in one of the local parks so not very challenging navigationally), map safety-pinned to the string of my SI card. It flapped around a little but most I was going slowly so it didn’t. 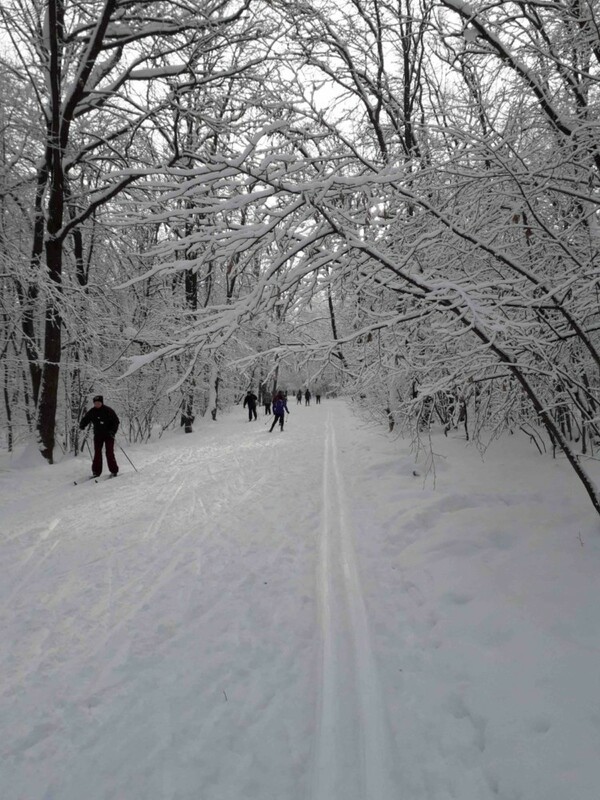 This was a ski-O sprint which was two 4.4km with two loops. The map has the paths and tracks overlaid with bright green, continuous for a track, dashed for a narrower path. The idea is to stick to these paths and tracks I believe. Going straight would mean sinking about a foot into the soft snow with each ‘step’ forward. I was slightly confused at first as they sent us out of the start in the opposite direction to number one but once I realised this it all made complete sense. 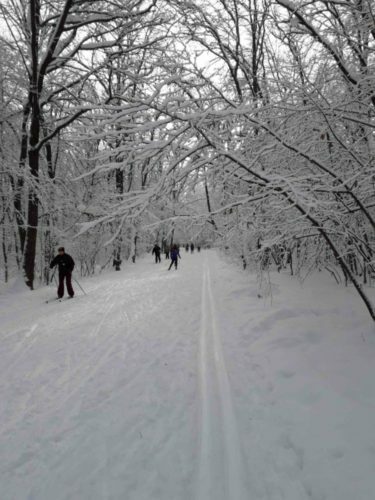 There were lots of other people out in the wood enjoying the snow which was nice. I took my camera with me and was wrapped up warm knowing I was not going to be anywhere as good as the seasoned ski-Oers who can skate along on their skis. I was mostly shuffling or sliding. It was quite fun but the orienteering side was a bit boring. I didn’t need to look at my map much and I just memorised the directions to go: right, straight on, left. All the controls were right at the sides of the paths so they were really obvious. Maybe this is because it was a child-friendly event or maybe that’s just how it is. The next one isn’t for a couple of weeks. Hopefully I can borrow my colleague’s skis and boots again for that one and it’ll save me hiring any equipment. 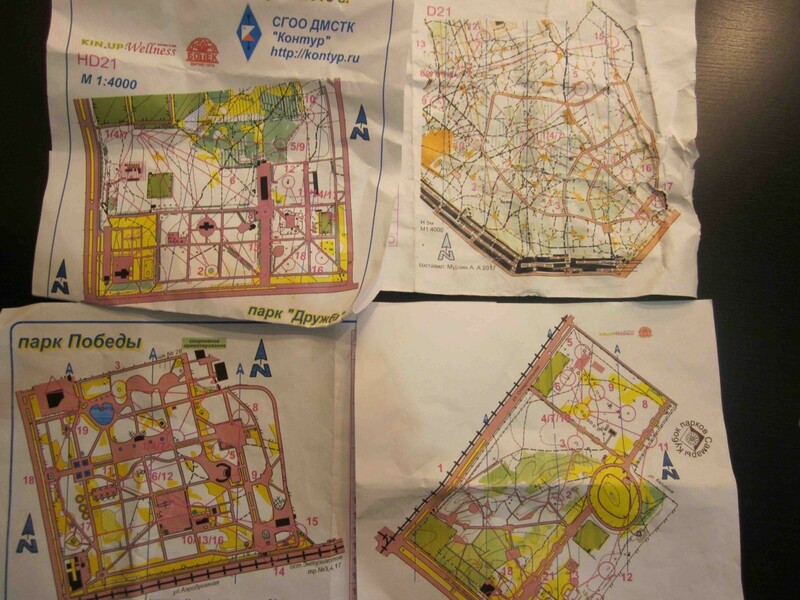 Happy New Year and happy orienteering to you all!